Website Design Manassas Park VA | They required a clean web design that was also mobile friendly. The website features custom composite Photo shop images. The challenge was to create visual concepts for technology based solutions that could not be found on stock photography websites. The website also features 4 focus box areas that highlight areas of service and expertise. 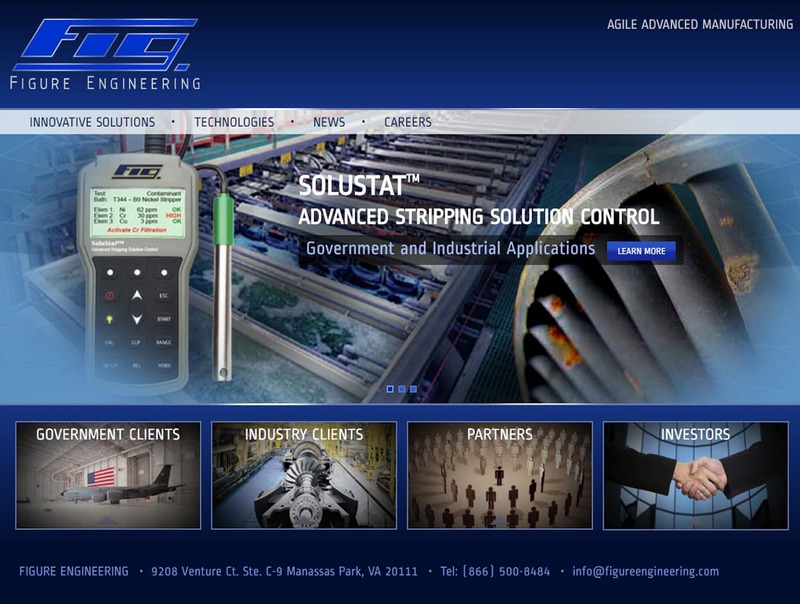 This recent Web Design, Web Development Manassas VA project for Figure Engineering provides a competitive branded website presence in a highly competitive space. VISIONEFX, a Web design company based in Virginia Beach, VA provides services to national companies as well as small to medium businesses throughout the United States to include; custom web design, web development, E-commerce web design, Custom Word Press web design, Joomla web development,Moodle, SEO and web maintenance services. Call: (757) 619-6456 or email info@visionefx.net.